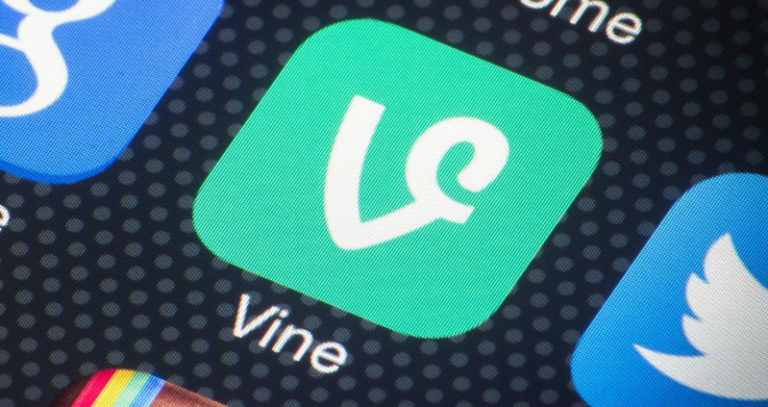 RIP Vine: What's Next for Social Media Storytelling | Gil Media Co.
Last week, Twitter announced that it was killing off Vine which signaled the end of one of its most prolific acquisitions in company history. However, one can argue that Vine died from the moment Twitter acquired it in 2012 as the six-second video platform didn’t see much in the way of new features as rival Instagram has since being acquired by Facebook. While some may downplay Vine as being innovative by comparison to today’s Facebook, it’s hard to overlook the fact that it played a significant role in how we consume and share content across all channels. Before Snapchat, before Instagram Stories, before Facebook Live, there was Vine. And without Vine none of those platforms would be what they are today. No different than how America Online (AOL) and MySpace paved the way for Twitter and Facebook. Unless you’re one of 1,000’s of Vine creators who made a living on the platform, not all is lost. Five years ago there were three predominant social networks called Facebook, Twitter, and LinkedIn. Today, there’s more options than ever to direct message such as: Messenger, WhatsApp, and Snapchat just to name a few. If you want to share what’s happening in your world including you have Facebook, Snapchat, Instagram, and Twitter with a hint of Pinterest. When you throw in newer, and in some cases unheard of, social media apps like Marco Polo, Anchor, House Party, and Bebo as well as utility apps that we cannot live without such as Yelp, Waze, Swarm, and Spotify (this is without factoring in YouTube, Periscope, or Facebook Live broadcasts) you have a tsunami brewing in the social media sea – I call it oversaturation. As we approach 2017, you will start hearing more about Oculus, HTC Vive, and virtual reality which will take us even further away from where we are investing our time right now. This doesn’t just impact an isolated part of the population but it’s the next generation of consumer too such as my kids who I doubt will ever use Facebook how you and I use it today. If you work in marketing and are reading this, take a step back and ask yourself how is it humanly possible to keep up with the aforementioned channels? The answer is, it’s not. I would be willing to bet a year’s salary that the average human being uses Facebook and maybe 1-2 other platforms max. I am also willing to bet that within the next 1-2 years this social media bubble we are living in will explode and you will only have a few notable players left namely Facebook, Google (YouTube), and Snap. It comes down to basic business principals, a businesses health is defined in two ways: revenue and growth. When a social network is not profitable because advertisers are experiencing diminished return on their investments or it’s no longer growing its user base it dies which is likely what happened with Vine. If you want to know what happens when technology advances, and most importantly we as humans advance, look no further to the newspaper, magazine, TV, Polaroid camera, AOL, and MySpace. Hedge your bets and DO NOT go all in on every next-gen platform which leads me to my next point. While I never became an influencer or someone of status on Vine I did create over 600+ videos on the platform over a few years. In the last year alone my activity on Vine was nearly non-existent besides an occasional video here and there. I personally found it much easier to create a short video on Twitter natively where I have more time to work with than 6 seconds. In fact, about a month ago a friend of mine texted me asking why I removed my Vine metrics (views) from my Twitter profile to which I let him know it’s not a platform I am active on anymore. Below is my most watched Vine ever – the sad part about it is it’s not even my content. The same can be said for many of us who passively created content on Vine however there’s creators who had invested countless hours making Vine’s and most importantly a handsome living working with brands which you have to wonder how does one bounce back from such a loss? Unless you or I own these channels we are simply taking a gamble that we can build a business off the infrastructure that anyone of these channels provides us right now. 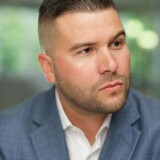 For example, in 2008 I founded JobsDirectUSA.com and eventually grew my business to the point where I could feed my family but it wasn’t without scraping a lot of emails from LinkedIn – real talk. Had LinkedIn ever once made it impossible for me to get the email address of every HR professional or recruiter that I connected with who knows where I would be today. My point is, you cannot build an empire on rented land. It’s the same reason why I have found it difficult to write a book about Snapchat because by the time it goes to publish we are looking at another update and contrary to popular belief Evan Spiegel isn’t calling me afterhours to tip me off on any product updates. You can however build your own empire on a domain that you own where you own the content, the email list, subscriber data, etc. It’s why I am writing to you here – on CarlosGil.biz – versus Medium. My advice to fellow content creators is to keep creating amazing content on Snapchat, YouTube, Instagram, etc. but look for ways that you can save and feature your content on your own network. Most importantly, get as many people as you can to opt-in to your mailing list (BTW, you can opt-in to mine here) so if Vine or Twitter ever go belly up you aren’t left in the dark which leads me to my next and final point. Some of my favorite Vine storytellers in Alpha Kat, King Bach, and LeJuan James have gone on to build their empire on other channels well before Vine’s demise which was smart of them to do and I applaud them for doing so. It goes to show that if you build an audience and are giving your community what they want in terms of content they will follow you to the next channel and the next one after that. Brian Fanzo didn’t go away when Meerkat disappeared, instead he pivoted to Periscope and his community followed him there the same way that they follow him on Snapchat or Instagram. If there’s something that I have never done is call myself a “Snapchatter” for this very reason. Channels don’t define us, our community does. While many will preach that content is king the reality is that community is, just ask Kim Kardashian or DJ Khaled who can pop up on any social network today and almost instantly drive loyal followers their way. Don’t be married to the channel, look at it as a bridge that connects you to the broader world around you. In closing, I’m personally and professionally grateful for Vine. It’s where I used to go on social media to create silly posts showcasing my non-business side well before Snapchat ever became a thing. Vine taught me how to be real on social media while speaking in short bursts which I credit to my success on Snapchat today. RIP my friend, you’re gone but won’t be forgotten….